The Chennai heat is just just soo bad right now, I can’t think of sarees, and I miss wearing it. Hope to catch up soon. In the meantime, here’s a pic from a year back. Me in my iyer kattu. All nine yards tucked in neat and smooth for a funtion at home. Sumangali prarthanai. Celebrating the sumangalis. One of the very beautiful of our customs. Well this was shot after the rituals and we are ready to tuck in full meals. 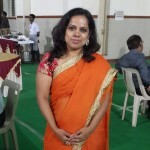 I am wearing a cotton sungdi saree and spunked it a bit with some junk neckpiece. Sumangali pooja is all about gold, sindoor, bangles, mallipoo and works. And here I am at my “ikkri-pikkiri” best. The romance of rani pink. 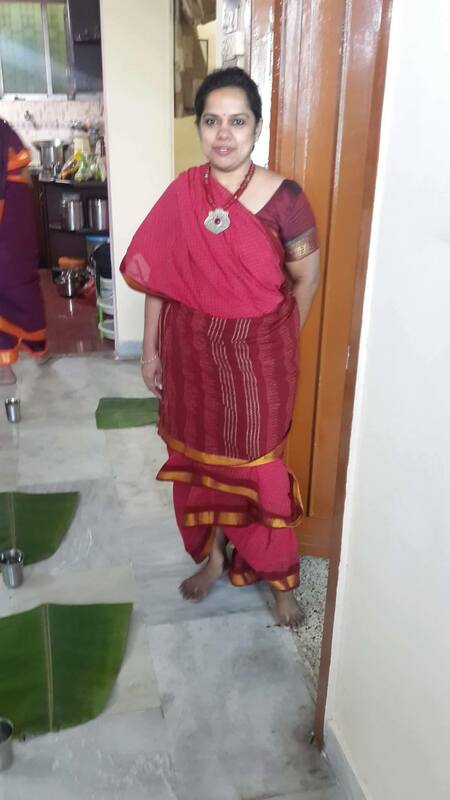 Malathi for ‪#‎100sareepact‬.